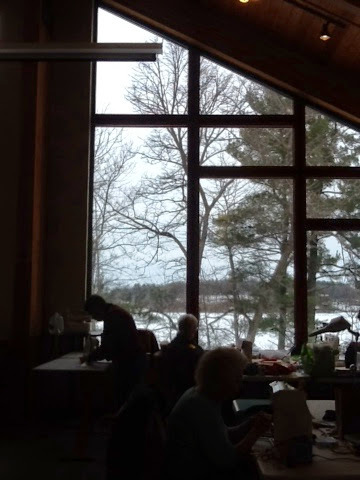 A few weeks back at the end of March, myself and 7 other members of the Minneapolis Modern Quilt Guild went to the Minnesota Contemporary Quilters' (http://www.peglasota.com) spring retreat at Camp Wapogassett in Amery, WI. 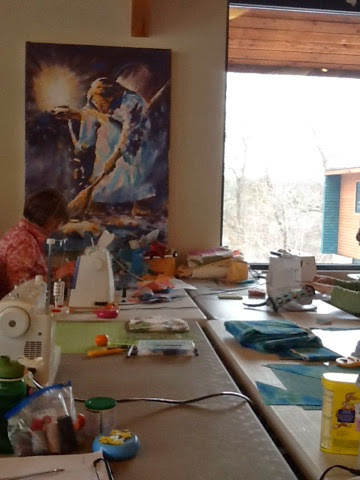 The MCQ are an amazing group of quilters and artists, with tons of experience, and I really enjoyed the compare/ contrast aspect of the joint retreat. All together there were 40+ ladies sewing away the weekend! Because of the large number of participants we got the whole Cross Fire building which is pretty fancy. Besides the gorgeous main room where our machines, cutting tables, and ironing stations were set up, there were numerous lounges and various gathering spaces at our disposal. Downstairs in the Lakeside room people had a ton of space to lay out on tables or the floor to do design work or just sit and chill. A small gallery of finished tops and pieces was growing down there too. 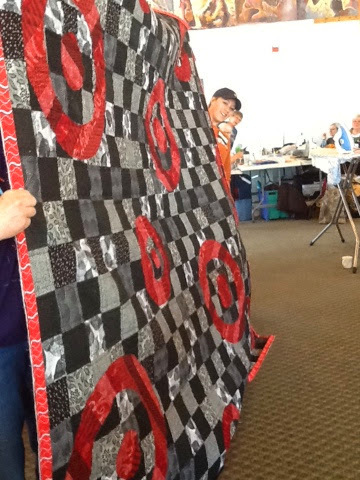 The large number of quilters also made the idea of a monster show & tell seem arduous so we were instead encouraged to make a lap of the main room frequently to view people's projects. I much preferred this style of interaction as I actually got to talk to people about their techniques and designs. It also seemed like a good way to meet people as we obviously had a common language. Of course, if anybody had a 'finish' they had to hold it up and give a little show or parade it around the room. 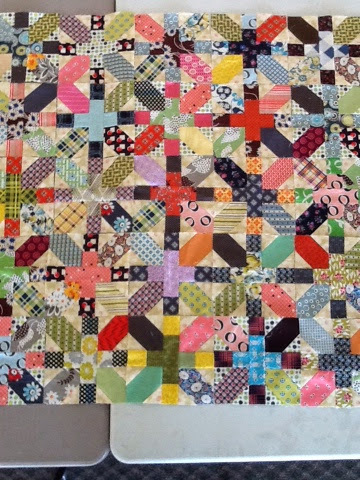 (Colby's Target quilt seen here...) It seemed like a very productive weekend for all, with a constant stream of work being sewn up. A few things I've learned about sewing retreats so far (in no particular order) are the importance of bringing adequate extension cords/ power strips and your own pillows. 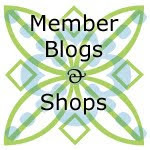 I've also leaned that quilters really, really like popcorn and chocolate. It may be a good idea to designate somebody to bring a small First Aid kit, and it definitely would've been a good idea to designate a guild photographer. I brought my 'real' camera and kept forgetting to use it as I was so caught up in sewing. All told, it was a great, relaxing time with good conversation, lots of creativity and inspiration, and a fabulous excuse to spend a weekend 'in stitches'. Please check out #mplsmqgretreat on Instagram for more photos from our retreaters and keep an eye on the Retreats tab on this blog for info on the fall retreat in late November 2014.